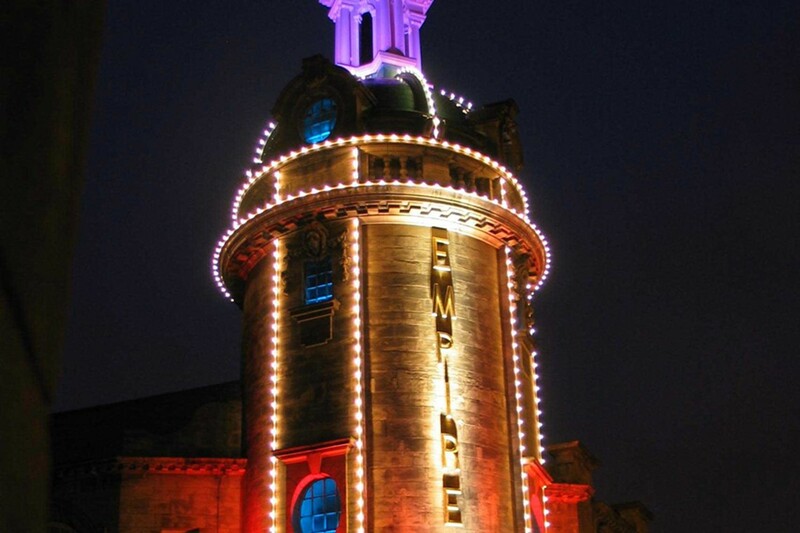 Since the re-opening of the Sunderland Empire in 1960 the theatre has been refurbished and re-equipped three times. The former Music Hall area of 1907 was turned into a cinema during the 70s and since then, has been turned into a function room. In 1986, the main auditorium and foyer were extensively re-decorated and wheelchair access and toilet facilities were provided in the stalls area along with a modernised bar. Also in 1986, the box office ticket system was completely computerised, as was the stage lighting system in 1987. In 1989, refurbishment brought new carpeting throughout the auditorium and a new capacity of over 2,000. In 1995 a brand new dressing room block which also housed a dance studio was built and property was also acquired on High Street West to house the theatre’s administration, marketing and management offices. In 2000, the Box Office was relocated to make way for a new foyer bar. In January 2010, the Ambassador Theatre Group LTD (ATG) bought the management contract of Live Nation’s theatrical venues. If you're seeing a show can travel on Metro and the Shields Ferry for free for up to two hours before and after the performance! We’re just a short walk from Park Lane Metro station or Sunderland Metro station. The Theatre does not have it's own car park. The Bridges multi storey car park is only a short 5 - 10min walk from the venue. Livingstone car park (open air) is also a short 5 - 10min walk from the venue.